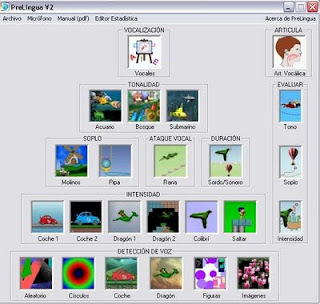 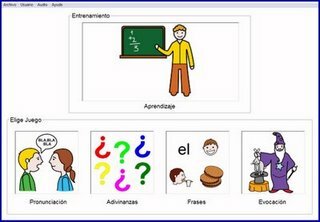 Prelingua: it works on different elements of pre-language and allows the monitoring of the vocalic emision on the part of the student. 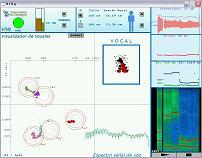 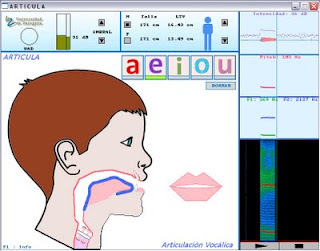 Vocaliza: it works the articulatory level of language through the repetition of words and simple sentences and through easy riddles. 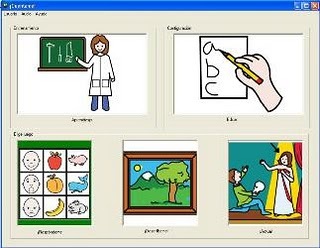 Cuéntame: it works the pragmatic level of language through the presentation of scenes the student has to solve by describing objects or participating in a scene.